Micro adjust your router fence for superior routing accuracy. 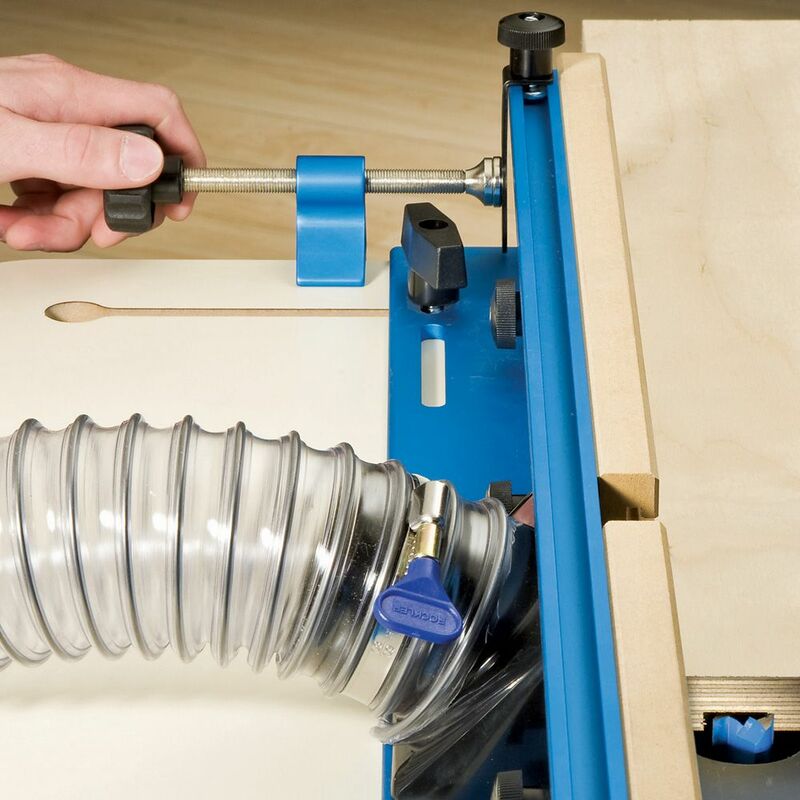 Onboard clamp attaches to the router table and houses the finely threaded micro adjuster screw. 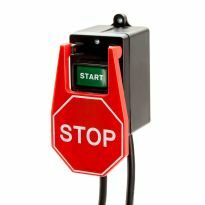 Included rare earth magnet attaches to the reversible screw and attracts the metal fence tab. This allows push and pull adjustment from either side of the fence. A key feature of the Micro Adjuster is that the user can make adjustments from either side of the table fence. Simply remove the head with provided allen wrench and reverse the micro adjust screw. Makes fine adjustments of the fence very easy. This is the greatest little device in the world. I have it installed on my new router table set, with the pro fence, FX lift, and phenolic table. With the vertical adjustment of the lift and lateral movement of the micro adjuster, I can really dial in to a whole different level of precision. I am only using the micro adjuster on the right side. I set the fence about where I need it, clamp down the left end of the fence, dial in the exact position of the fence with the micro adjuster screw, then clamp down the right end of the fence. Done and ready to roll. 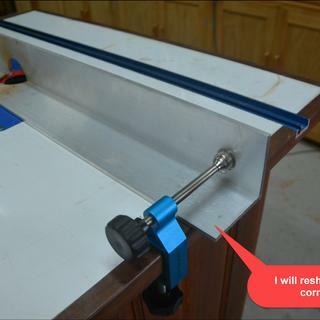 Up until now, I had been locking the fence on my homemade router table, with a Kreg Clamp (which, was far from ideal). But the Rockwell Micro Adjuster is now simplifying the whole operation (with perfect control & accuracy, too). This is good for making micro adjustments to your fence. I have a wooden fence on my router table so I will eventually epoxy and countersink a round magnet to make adjustments easier. these clamps are great. makes it easy to do precision moves.i would recommend them. I was skeptical about this tool at first but I set it up on my bench dog fence and it worked just as advertised. Good job Rockler. With a little work I was able to use this on my Kreg router Table. It works great ! Hats off to the inventer of this simple but clever tool. In my box making it allows me to "sneak up" on the correct target. I painted a white stripe on one of the grooves in the handle. This helps me make repeatable cuts. 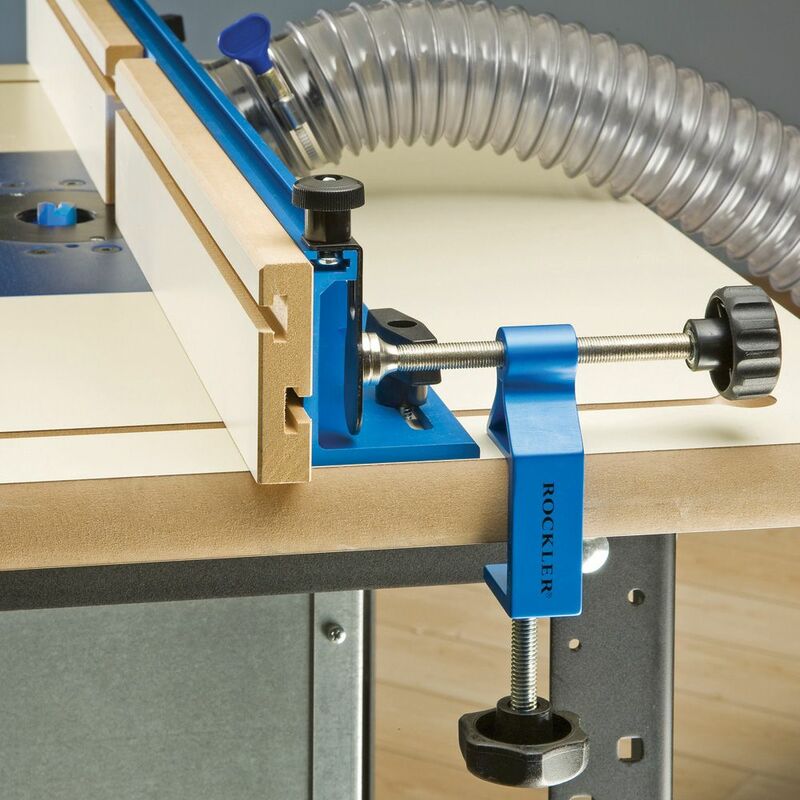 Since I have an older Rockler router table the fence does not have a place to mount the magnetic attachment. I will probably glue the magnet in place. This is a must addition to my router table! Simple, easy, effective and reasonably priced. These have enabled me to adjust my fence a thousand at a time. I saw this in use at a instore demo! I loved it! I installed easy and works very easy. I have a very old type of table with no adjustments at all so this is a wonderful addition. It makes my work when I need it easy and quick instead of laborious as before! 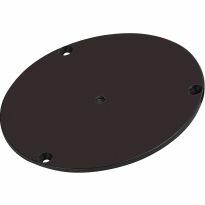 I bought the micro adjuster for the kregg table top but it is too short. So I bought this without realizing that it only fits the rockler table fence. So just check the fence design that you have. I might fit your even if it is not a rockler. I love the precision this tool offers for tiny detail work. Sure beats the tap tap tap mrthod. Great product for making fine adjustments to the router fence. Great tool. Sorry I did not have it years ago. It is supposed to be for a router table. I us mine for additional support and stability for the fence on my, "less than expensive" bench saw. I make inlays and often incorporate Marquet into my work. Therefore precision to the mm is required for excellent work. This does the trick in a simple uncomplicated way. I have a custom made Corian fence due to the projects I make and the jig didn't fir right. No problem because of Rocklers fore thinking designers. I turned the T-track backwards screwed it in place so it bent toward the adjustment screw. All possible due to the magnet. Always excellent. I just received my mico adjuster and have already used it. It works as advertised and is certainly makes easier to adjust the fence than tapping it with your finger. However, I feel the metal tab should be made from sturdier metal as it flexes when you are making adjustments. I added a small block of wood to the back of the tab with double sided tape to hold the tab in position when moving the fence forward. 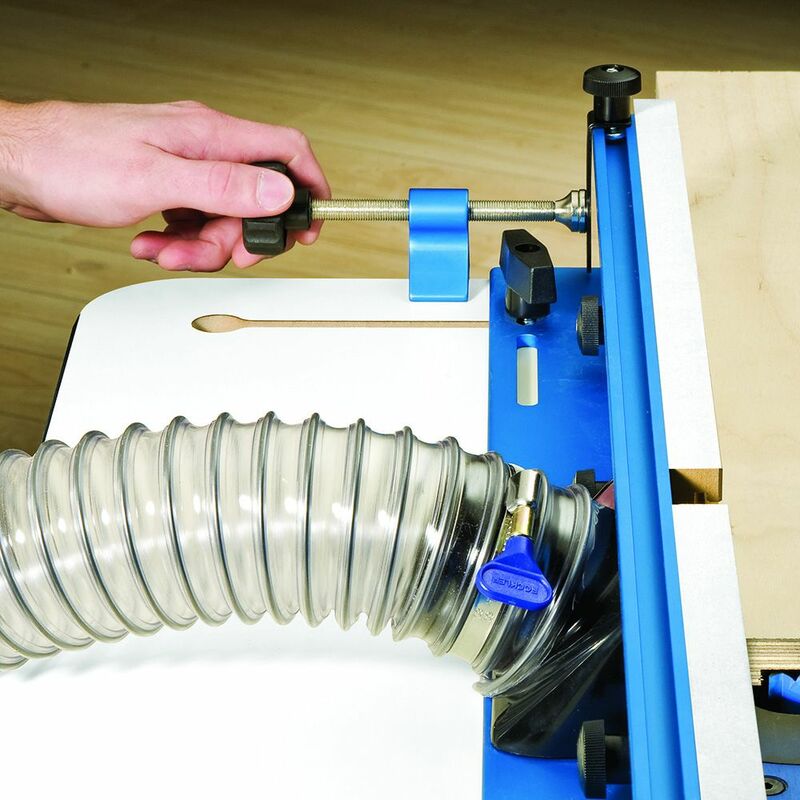 This is a very handy option to add to your router table. I just received mine today and I like how you can use it on either side of the fence. 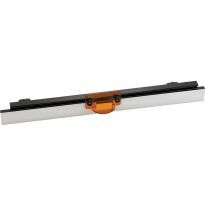 This is a well built, quality 5 star device but I gave it 4 stars because it would not work with my Bosch RA1181 router table without fabricating a bracket for the magnet to grab. The problem is the fence construction. See attached photo for details. I also put a 1/4" plywood spacer under the clamp to raise it slightly. Works great. I recommend it but be prepared to make it work with your table. the rear base of my router fence is very wide. Because of that that I had to glue on a wood block ( about 1.5" thick ) to the back of my fence. I then glued a small piece of steel to this wooden block. The micro adjuster now works well. Need to readjust depending on the bit you are using, but other than that they work fine. Installed 2 of these on my Bosch RA1181 Benchtop router table. Had to modify the fence, but works very well for minute adjustments. I built two of my own from various parts before purchasing one of these from Rockler. 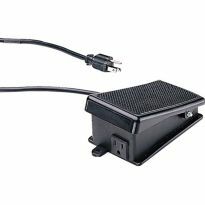 Wish I would have bought these first because they are very adjustable, easy to install and set up on my Rockler Table. I bought this for my router table about a year ago. It worked great for me It took all the guess work out of the fence set up. A 1/32'' or 3/64'' adjustment for lock miter bit just did not work without this tool. Now a total breeze. I also adapted it to my table saw fence. I used my switch mag for a base to the saw, added a small bracket to it for the micro adj. to clamp on to. Now I can move the saw fence accurately to .005". I just love it. I have been using this adjustor for 6 to 8 months now. I like it very well. It solved all the taping on the fence that often went to far and then started over. The other place I use this in on my table saw. It gave me the same great control an the saw fence. I mounted it on a Magswitch base and now have double duty an 2 tools. It gives me fine adjustment to .005" on the saw You will love it once you use it. I do alot of router work and the micro adjust will be a great addition to my table. When I got it home I found out that it's supposed to works with part 80161, that isn't menttion in any reading material, but it is on the box. I have the tall fence, 30136. It worked by adding a sm. piece of sheet metal 2 in. X 4 in. p/u at HD for under two bucks and attached it with double sided heavy duty foam tape. This way I can open/close fence and the magnet will always have a place to hit. I feel that this is a nice, high quality tool, but won't fit my router table (doesn't even come close). I don't think I will try to retrofit because it would end up a cluge, so I am sending it back. The basic concept of the micro-adjuster is excellent, as is its quality. I particularly like the use of socket head cap screws (rather than riveting over the end of the threaded rod) to hold the ends on the threades clamp, allowing it to be adapted for the left or right side of the table. The only problem I had is with the steel brackets to be used for holding the magnet too the router fence T-track. The brackets are designed for a T-track that is attached to the top of the fence but not to the back as with my Bench Dog fence. Rigging up a substitute shouldn't be too difficult. I would still recommend this product to anyone wanting to add a fine adjustment capability to his router table. I think once I get it to fit it will work fine. I was dissapointed that adjuster would not work with my Rockler table and fence. The bracket with magnet is not compatible as is with the fence. I have to add a piece to top of fence for bracket bolt to slide in. 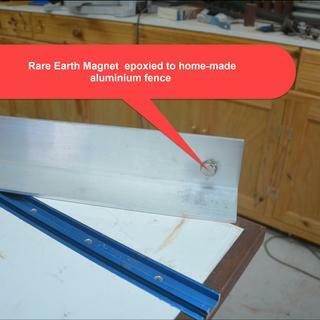 Or epoxy magnet to aluminum fence. Minor fence adjustments made possible now! I knew going in I needed to modify considerably to fit my setup so no complaints here. But, threads on the adjuster portion were not machined well - should be much smoother when turning. I can’t believe this was intentional to prevent “walking” while machine is running. Some verbiage on this web page led me to think this adjuster was designed to work behind the fence on either the left or right side of the table. Unless you figure out how to disassemble one end of the screw mechanism, so you can turn that mechanism around in its base and reassemble it backward, the adjuster will work from the back of the fence only on the right side.side of the table- as pictured. To use it on the left side the table, you'd have to mount it in front of the fence. It wasn't so nifty for my Pro Bench Dog fence. With a little re-engineering, it works kind of like I thought it was designed to do. There is too much slop in the system for this to useful. If the bracket was made with thicker guage steel it wouldn't flex as much. Does not fit on my Bosch router table. Too little range oif adjustment because fence goes to side edge and reaches far back from the front of the fence. Could shop-make this but not worth my time. Need all the help I can get in being exact! Will make it easier to fine tune my fence set ups. I wanted a way to make fine adjustments to the fence on my Bosch router table and the price was right. It was on sale. I was under the mistaken impression that these were sold as a pair... I bought one now I need the other for my Bench Dog router fenced. I believe that combined they will work well. My husband picked it out. It’s part of a Christmas gift. 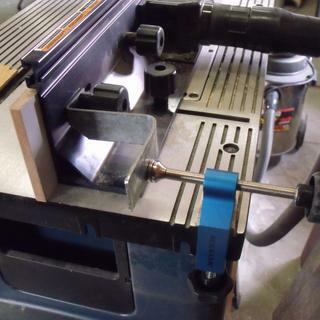 To adjust router and also drill press fence to drill accurate holes for wood turning. Building new custom router table. Looked like just the thing for fine adjustments. 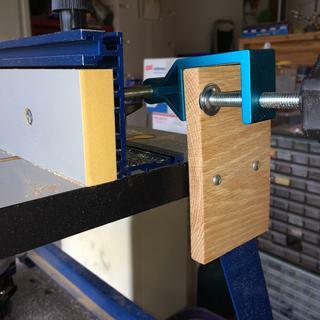 I just purchased your pro router table and fence and needed a way to make small controlled adjustments. Modified a router table, need a micro-adjust capability. Looked like it could come in handy. Wanted fine adjustment for the fence on the router table. It is simple, but works well. It micro adjusts and gives me more control over my project. It is a nice color of blue. 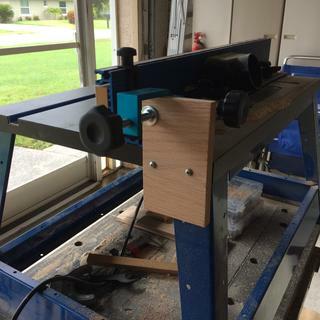 Seems to be a cool add-on for my new Rockler Router Table. I want to be more precise in my router bit setup. Should be great for fine tuning router table fence. To use as prescribed for my router table. This is an essential tool for making the necessary micro adjustments to the router fence to produce quality work. I figured anything that can aid accuracy and consistancy is worth a try. To adjust my fence on my router table. It is a Rockler and their micro adjuster did not work. Will this fit my Rockler table. It looks to be a good choice for other projects, too! To use with new router table. 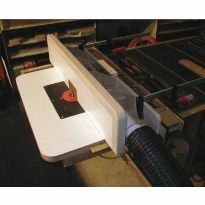 Have read a lot of reviews, and this looks like this is a great addition for my router table to purchase. fine adjustment of router fence is essential to accurate routing. Badly sliced and diced my hand trying to adjust my router. I needed a multipurpose method to control the fence on my band saw as well as my old router table rather than a dedicated expensive fence. Someday I hope to purchase a new router table with a micro adjustment for the router as well as the fence. Will it work on the Bench Dog Pro table ?? BEST ANSWER: It looks like it would. You just need enough overhang to clamp the micro adjuster to the table top. Sorry, but I do not know the answer. 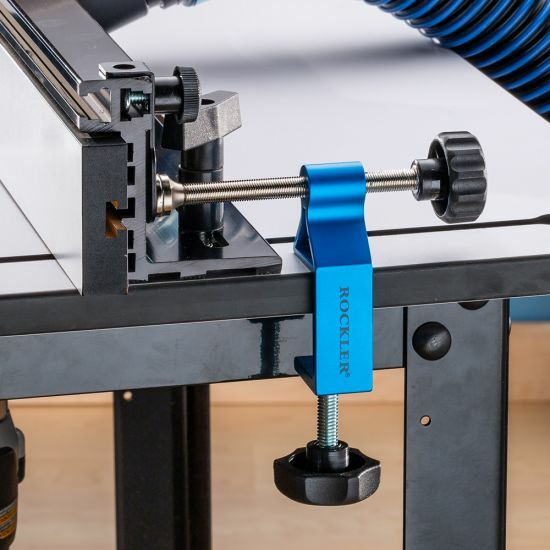 Anyone know what the max table thickness that the adjuster will clamp on ? BEST ANSWER: Mine opens up to 1.77" so I'd say 1-3/4" would be the maximum table thickness. If you are trying to put it on a table an 1-3/4" thick then .02" isn't much wiggle room for any variances in either the adjuster or table tolerances. What are the threads-per-inch and amount of backlash? BEST ANSWER: It's a very fine thread (I have no way to measure it) and there is a lot of control to sneak up to a line. Backlash is enough that I always back it off more than needed and then sneak up to the line I draw on the table. 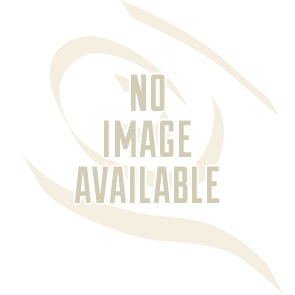 I like the product and highly recommend it. You make the fine adjustment, then lock the fence in place. 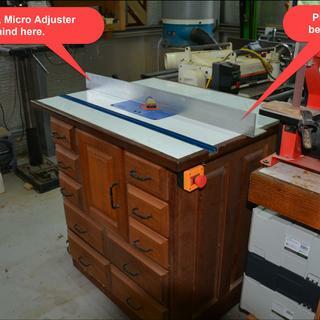 DO YOU NEED THE MICRO ADJESTER FOR EACH SIDE OF THE ROUTER TABLE? 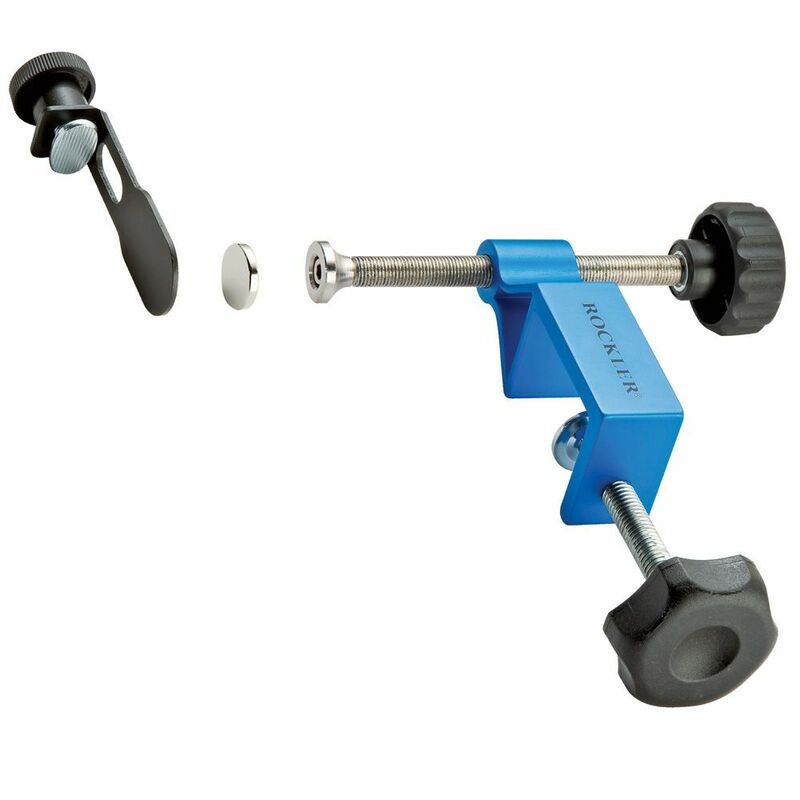 BEST ANSWER: I use the Micro Adjuster on one side only and I find it works very well. I keep one side of the fence fastened and allow it to act as a pivot point. With the Micro Adjuster on the other side of the fence I can accurately adjust the fence as needed in either direction. It's an excellent product, easy to install and easy to use. The very fine threads make the adjustments precise. I purchased two but I haven;t had a chance to use them on any major projects, just did some practice setups. One will be adequate unless you are trying to square the fence to the miter slot. No. You lock down the side of the fence opposite of the micro adjuster which then acts as a pivot point. The micro adjuster moves one side of the fence in and out which exposes more or less of the bit. to move the fence square for the job required, it would be more accurate using 2 micro adjusters. Having said that it could also be done with only one device. Can the micro adjuster be used with or modified to work with a Jessem Mast-R-Fence? BEST ANSWER: Cannot answer this question as I have a Rockler router table and fence. I am not familiar with theJessem fence, but, I would suspect a “woodworker” could figure something out. With my fence and the micro adjuster, I am able to truly zero in on “trims” of 1/64 of an inch. What distance does the fence move per each turn of the knob? BEST ANSWER: Approximately .0400". The adjustment screw is fine thread. Where are you suppose to put the tape? BEST ANSWER: If you are referring to a measuring tape, I omitted it! I'm referring to the little round stickers that they say about putting on the magnet or somewhere. Don't understand what it's for or which placement they are telling me. It says it comes as one not a set, simple common sense and physics says one will not work it requires two. So how does it work at all? BEST ANSWER: Unless you are using the miter slot, there is no need to keep the fence parallel to anything. So the fence can pivot by keeping the end opposite the adjuster fairly tight and the end near the adjuster loose. Once adjusted, the bolts holding the fence can be tightened. It works great. the router unlike a table saw, does not require the fence be square to the blade. Therefore, an adjustment on one end will meet your needs nearly all the time. You only need to move one end of a router table fence to adjust. Would it work better if i added one to each side of my fence? BEST ANSWER: Because you are not looking to keep the fence square it is not nesassary to put it on each end of the fence. It will not make a difference. Definitely. I put 2 on my fence and the adjustments are superior. Will this work on T Glide fence on a Sawstop table saw? BEST ANSWER: I have no idea. I have a Biesmeyer fence on my table saw and I don't see how it would fit that, but I have never tried it. For tiny adjustments I use a caliper with an adapter that fits my miter slot. It depends on the table thickness of sawstop for the device to be able to clamp down on table and does the fence extend all the way to the edge of the table? I have a Bosch RA1181 benchtop router table. It is made of aluminum as is the fence. I'm figuring on gluing two small pieces of steel to the back of the fence so that the magnets on the micro adjusters can grab it. Has anyone modified a fence in this way? Putting it another way, will it work? Appreciate the response. 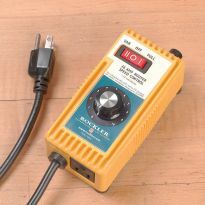 Rockler (terrific folks, by the way) seems to lean toward Porter Cable routers...Getting accessories for other makes can at times be hit or miss. Should work. However, I find I use my micro adjuster to set cut depth. Rely on micrometer reading spanning the fence opening and the router bit on the centerline rather tan setting the fence ends. I am purchasing two of these Micro adjesters to use on the rear of my Laguna 18' Bandsaw table fence. Does anyone have any advice or opinions on this application? 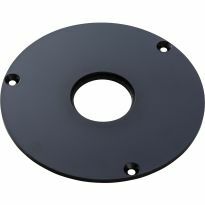 I already have Incra LS positioners on my Router and Table saw, so I am looking for something to give me the fine tuning ability to my bandsaw now. Thank you for taking the time to give me your thoughts on using the adjuster for my bandsaw. Your ideas certainly help me decide to go ahead with my purchase. I haven't worked with mine a whole lot - my only experience would be that the fence needs to move freely and the adjuster mounted adequately. I haven't done a thread count to tell you what each turn of the knob gives in lateral movement.. Thanks Paul, for taking the time to share your thoughts on the micro adjuster and my particular use for it. Does this work on the trim router table by rockler? 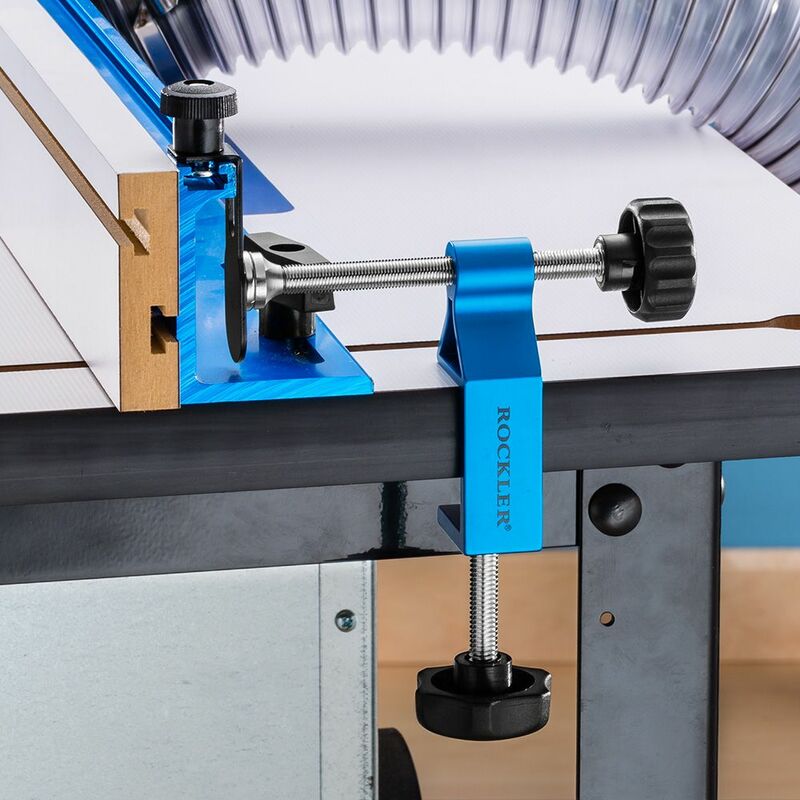 BEST ANSWER: I use the Micro Adjuster on a high pressure laminate (HPL) router table. The adjuster attached easily to the Rockler fence with a steel angle bracket (included) and works like a charm to dial the fence in just a fraction. I'm not certain that the bracket would attach to the trim table fence? So if you adjust on one side, how does it square the other side of the fence? BEST ANSWER: If your doing ordinary routing you don't need to square the fence with the table. It is always square with the bit. 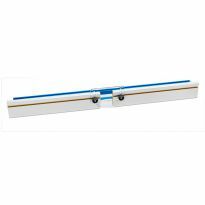 If you are using the miter track then you need to square it with the table/track. 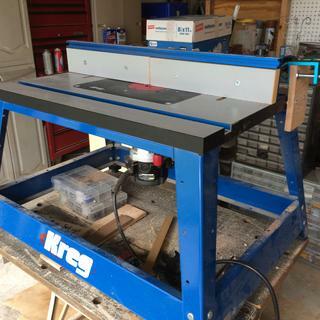 I have a Kreg KR PRS1010 Router table fence. Would this be suitable or adaptable for use? BEST ANSWER: Based on the pictures I can see on line I think you could adapt it to work. We're are you to put the little stickers that they have with micro adjuster? They said about the magnet but I don't know which side or what it is for. It's just it has two small round stickers. BEST ANSWER: I believe that we used the stickers on the old design. With the new design you will not need them. Does anyone know if this will work with a Sawstop router table fence? How much over hang do you need to securely clamp it to the table?